Images in the U are Meramec State Park in Sullivan and Main Street in Joplin. In the S are the Shrine Mosque in Springfield and the Big Piney River at Devil's Elbow. 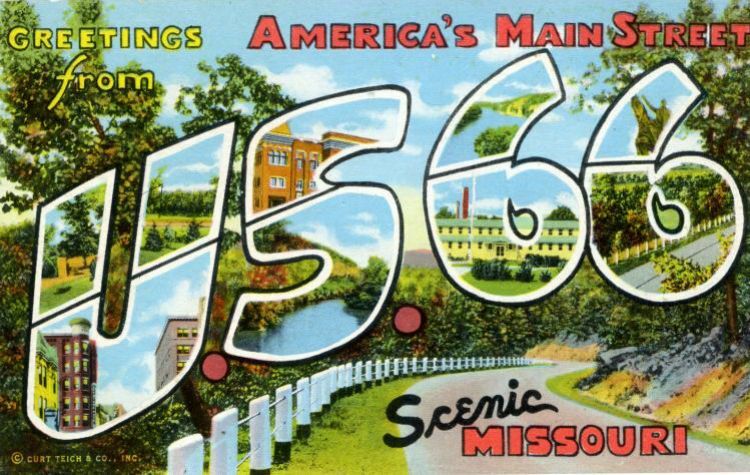 The 6 on the left shows the Lake of the Ozarks and Fort Leonard Wood. The last 6 shows the statue of St Louis atop Art Hill in Forest Park and a view of the highway in the Ozarks.